The Persona series is a spin-off of the Shin Megami Tensei series. In Persona 3, you’re playing an unnamed orphaned male teenager who goes back to the city where he grew up. Shortly after you arrive in the city, you’re attacked by Shadows, beings that feed on the mind of people, leaving some of them ill. Thanks to the awakening of your Persona, a kind of other self from deep within, you’re able to defeat them. It turns out some of the other kids you go to school with have the same ability. They are part of the Specialized Extracurricular Execution Squad (SEES), formed to hunt Shadows. You join SEES, and from then on, spent your nights defeating Shadows. Shadows appear only during the Dark Hour, a time between times. It exists between one day and the next and appears every night at midnight. SEES members and a few other people are aware of it but most people don’t know. 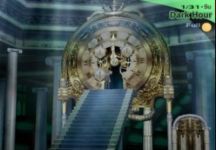 In order to hunt Shadows, you (and the other SEES members) have to go to Tartarus, a huge tower which only appears during the Dark Hour and which teems with Shadows. The game follows a (Japanese) school year, and as the year progresses, you learn more and more about Tartarus, the Shadows and the Dark Hour. Your goal is to defeat all Shadows, or at least to make the Dark Hour go away, because more and more people fall in a state of unconsiousness because of it. Of course, it isn’t as straightforward as that and you encounter some twists and surprises on the way. There are two distinct parts to the game: the dungeon crawling during the Dark Hour and the day-time activity with going to school, school activities and making and meeting friends. Persona 3 is a mixture of RPG elements and dating sim elements, although dating means you meet all kind of people, not just love interests, and try to establish a relationship with them (called social link). This is the part where Persona 3 really shines, IMO. 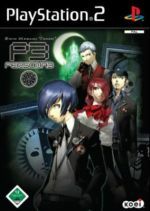 Persona 3 features a story that tackles serious subjects in a much more thorough way than you normally see in other (RPG) games. Essentially, it’s a look at the meaning of friendship and love, and it asks questions about free will and fate. Each member of SEES has his own story and reason for fighting the Shadows, and when it comes to make the ultimate decision on New Year’s Eve – which comes down to a choice between free will and fate – their story influences the way they decide. Other games *coughFinalFantasyXIIcough* could learn a thing or ten from Persona 3 in regard to character development. Persona 3 has two endings; which one you get depends on your decision on New Year’s Eve. What is called the “bad ending” practically ends the game on New Year’s eve. You get to see the rest of the school year but you can’t play your character anymore and you won’t have to face the obligatory final boss fight. The “good ending” opens up another dungeon, you can continue to improve your social links, acquire new Personas, and you get to beat the final boss. The funny thing is, I wasn’t really sad after seeing the “bad ending” whereas after watching the “good ending” … oh my. The “good ending” expresses the “message” of the story most clearly and is therefore more powerful. 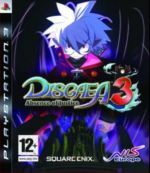 It’s also the best example of how this game combines game elements (social links, fighting) and story and character development in a not-often-seen way for games. Persona 3 is an unusual mixture of game genre elements. What makes it even more special is that these elements are linked to and influence each other and the story. 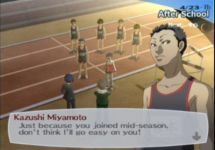 For example, each person you can befriend and establish a social link with represents a Persona class called Arcana, modeled after Tarot cards like “Lovers,” “Judgment” or “Death.” The main character (you) is able to create (fuse) Personas, and since each Persona is part of a specific Arcana it’s: the higher your social link with a person, the higher the benefits for fusing a Persona that’s part of the Arcana that person represents. And the link between a Persona’s Arcana and Tarot cards connects this game play element with one of the main themes – fate – of the story. Neat. Also, each element is able to feed my compulsive nature like whoa (meaning there are lots of possibilities to max all kinds of things). I thought the handling of the menus a bit cumbersome, the loading a bit slow and there’s only minimal info on things like abilities. When your Persona levels up, there isn’t any info about what the newly learned ability does. This is especially annoying when there’s no free slot available for the new ability (each Persona can have up to 8 abilities at the same time) and you have to choose which one to delete. There are A LOT of abilities and most of them have names that give you no clue what they do, like for example “Me Patra” (provides recovery from Panic, Fear, and Distress, targets all allies). You also don’t get info about the already learned skills on that screen, making this really hard and annoying. Really, I think the days where you had to play with a notepad beside you and write EVERYTHING down are gone. While I thought the mixture of RPG and dating-sim elements interesting and intriguing, it also can lead to some dull periods during the game, mostly depending on how much attention you pay to the social links part of the game (and how good you are at it). You can either have lots of extracurricular activities or periods where you just press a button to advance to the next day. How much you must fight depends in part on the rank of your social links. If you screw up there, it means more fights, and they and the dungeons are not all that exciting (Persona 3 is much more forgiving than Lucifer’s Call). I thought the balance was off there. Also: screwing up the social links is very easy. In fact, it’s said there’s only one way to max all social links in one go. For that, you have to follow a very detailed time-table and do everything in the right order. One mess-up to do something on a certain day, and all was for nothing. 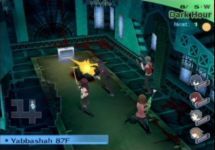 In Persona 3: FES, which comes out in Europe at the end of October 2008, the social link element is supposed to be easier (more opportunities to max the links), making the game better balanced in that regard. WHY THIS NOVEL: I wasn’t completely convinced with the first novel I read by Grey, but I thought her a good writer so I wanted to try one of her other novels. “Italian tycoon Angelo Emiliani wants to buy Anna’s French château, but it seems she’ll do anything to stop him. So he’ll take Anna captive on his yacht, and show her he’s not to be toyed with. First off, I liked Angelo’s Captive Virgin (ACV) better than The Italian’s Defiant Mistress. This time, the heroine’s behavior isn’t just dictated by plot reasons. I liked that ACV is a story about identity: Anna doesn’t really know who she is (she’s in search of her “passion”) and Angelo is an orphan with no knowledge about his parents. At the end of the novel, they both found answers. I also liked the fairy tale allusions in the story and I think they gave the structure of the story an extra something. But I also had some problems. There were some things I either see as annoying romance speak (e.g. “scuffing the gravel with the toe of her little green pump” – p. 9, emphasis mine) or “silly” (referring to long legs on a woman who’s height is five foot three), and the yacht episode nearly made me put the novel down, but what made me really uncomfortable when I thought about its RL implications was that Anna’s search for her identity came to an end after she met Angelo. He was her passion and that was that. Such a love sounds nice on the surface and Anna learns a few things about herself, but I had the impression that there was nothing else besides Angelo for Anna. Combined with the fairy tale vibe of the story, it was an uncomfortable fit, IMO. Would I recommend this novel? Probably yes. Grade: 4 / 5 (The grade reflects my enjoyment of the novel on the story level (first paragraph). WHY THIS NOVEL: The summary sounded like this would be a friends-turned-lovers/unrequited love story. “In college, Shane Reynard lacked the nerve to tell Jenna Murphy how he felt, Now with all his Hollywood success behind him, lack of nerve is not what holds him back. When his latest TV show lands him in Jenna’s hometown, he offers her a place on his writing team. Too bad spending a lot of time with her reminds Shane of every single thing he liked about her. His Brother’s Secrets is one of the instances where I end up liking the novel I read just so I can read a series in order (Baby by Contract) better than the one I wanted to read in the first place (His Brother’s Secret). I thought the story was written well, my problem was that there was just so much going on. First, there is the secret that both Jenna and Shane have to deal with, then there’s Jenna’s mother, the way Jenna’s father influenced/still influences Jenna’s life, Shane’s I’m-not-worthy-because-my-twin-was-BAD, the TV series business – it was just too much. A lot of these issues are rather serious and because there are a lot and most of them are dealt with rather fast – Shane is in Sentinel Pass for about a week – they didn’t (and couldn’t have) the impact they deserved. Also, this time my “would this really happen like that?” question with the TV angle kept popping up (which is of course just my impression, I know nothing about that, but it was there). 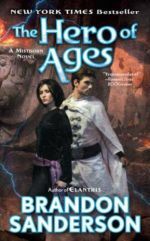 So, to sum it up: I liked this novel less than the first book in this series; I’m not sure if I’ll read the next one in this series, mostly because I’m not completely on board with the TV series part. Would I recommend this novel? Maybe. Would I read this novel again? Probably not. I’m still working on fusing all the Personas I can in this game. I need 5 more and then I finally can go and see the good ending. Of course, if I wouldn’t be so weird (compulsive) with getting all done that’s possible in games, I could have seen the second ending weeks ago… There are also 5 Personas I can’t fuse in this playthrough because I screwed up the maxing of the social links. My character finished hacking and slaying her way through Egypt (second big area), although she’s more an arrow-shooting kind of girl. Now she’s in Asia (Babylon). I can’t help but keep comparing it to Diablo 2, it’s so similar in gameplay with the benefit of some improvements there. And how you find the final boss in Egypt and how you find it in Diablo 2 – better not talk about that. But it’s a fun game to play, and of course I have to see the end, so I keep playing. I just don’t know if I’ll play all three (*coughDiablo2cough) difficulty levels. … which is why I started playing1. an online browser RPG where I just have to to click when I want my character go on a quest and some time later I get the result. It’s great for playing while I sit at the PC anyway and, for all the years I’ve played RPGs, it’s the first one I play online. 2. A few days ago, I got more adventurous and started the “real” thing: a MMORPG (Massive Multiplayer Online Role Playing Game) – Fiesta Online (EU version, there’s also a US version) where I actually have to play and interact with other players. It’s completely free, you don’t even have to buy a copy of the game, and I like its look. Other than the archer I normally play in RPGs, I went with a fighter for this. You can’t make a lot of mistakes when you just have to smack things, I think. I also bought a copy of Titan Quest (PC/RPG; like Diablo 2, only better looking and more comfortable, for example I don’t need to carry arrows for my bow) and a bundle of the two add-ons for Civilization IV (PC/Strategy). I got them all for 20 Euro so I couln’t resist when I saw them. I started to play Persona 3 back in July. It’s a spin-off of the Shin Megami Tensei RPG series and, like the other games in this “universe” I played so far, it’s very dark in tone and in terms of its story (it’s rated “mature”). You’re playing an orphaned teenager (male) who’s transfered to a High School in the city of his childhood and who’s staying at a dorm together with three (at first) other students. Shortly after that, you’re attacked by a being the other three students call a “shadow” and it becomes clear that your transfer to the school and this dorm was no coincidence. As I said, it’s a game with a dark story. You’re one of the few people who has the ability to experience the “Dark Hour,” a time between the times occurring each night at midnight. Most people don’t know about it (they spend that time in coffins! ), but you and the other students at the dorm know what happens: your school turns into a huge tower called Tartarus which is filled to the brim with the beings called shadows (demons). You know about the Dark Hour because a being (a persona) lives inside you that is able to fight the shadows and therefore lets you experience the Dark Hour. To evoke a persona (to be able to fight), your character has to shoot himself in the head (see, I said it’s rather dark?). The story basically is that the shadows grow ever more restless, attacking humans and your character and his friends have to find out what’s behind the shadows, Tartarus and the Dark Hour; oh, and behind the contract you alone signed when you got to the dorm and the strange boy that keeps visiting you in your dreams. Here’s a link to the official Persona 3 website’s description of the story. So far, I like Persona 3. It reminds me of The Sims for the activities you can/must do during the day – going to school, taking quizzes, making (girl)friends – and of Shin Megami Tensei: Lucifer’s Call in terms of fighting and persona evolution via fusion. My compulsive streak is in heaven with this game: there’s the fusion system and you can max relationship links and your abilities. I already know I screwed up with the relationship links because it took me some time to figure out how to best go about establishing and improving them and now I can’t max them all in one go. But then, I read that’s something you can only do with a very detailed instruction and there’s practically no way you can get it right on your own, so that helps. There are a few things that I’m not so happy about but aside from them, I have a lot of fun and I enjoy playing this game. And I’m sure there are some story surprises waiting. So good times ahead. There’s an extended version called Persona 3: FES which so far (as so often) hasn’t been published in Europe. Apparently it’s scheduled for October 2008; but that’s something I’ll believe when I see the game in a store. Now I’m off to play some more.